The striking indigo color of the Blueberry boldly reveals the wealth of antioxidants it contains including anthocyanins, proanthocyanidins, resveratrol, flavonols, pterostilbene, kaempferol and tannins. These antioxidants help protect cells and tissues, support a healthy vascular system and prevent free-radical damage. 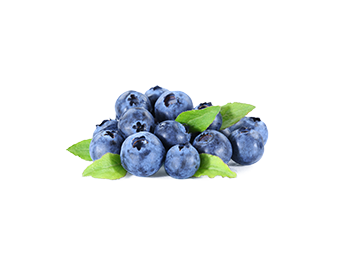 Blueberries also contain zeaxanthin and lutein which may support eye health and promote mood balance. Blueberries may also support neurological, cognitive and memory health; help maintain healthy cholesterol, blood lipid and blood sugar levels, as well as supporting vascular cell glycosaminoglycans, components which affect the control of blood pressure. Botanical Source: Vaccinium corymbosum L.